BlackHawk! Diversion Racquet Bag » Protective Solutions, Inc.
Take concealment to a whole new level with the BlackHawk! Diversion Racquet Bag. 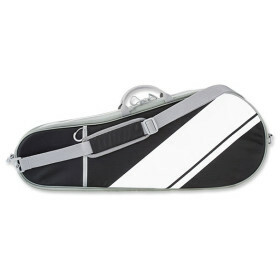 Featuring padded walls with an inner shell, this clever bag mimics an ordinary tennis raquet case but allows you to keep firearms protected and out of sight.